"You don't want your friendships to be average. You don't want your marriage to be routine. You don't want your career to be purposeless and passionless. You don't want your bad habits or addictions to define you. This little book held so much for me, and it took no time at all to read. 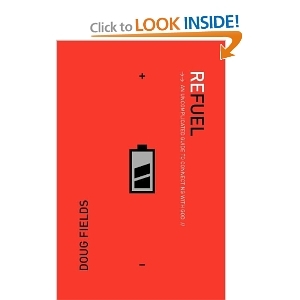 The overall point consists of three small steps to refueling your spiritual tank. However those steps are anything but easy, at least for me! So what are the steps? Alright I'll share the secret with you, are you ready? I know you are amazed and ready to change your life right? Well let me tell you, I have yet to figure out how to really do these three simple steps, and that is why this book was actually a nice little read. Fields goes over how simple it is to say, and how difficult it can be to actually do. The book is broken into six chapters, and each is set up so you can do it as a six week study (I'm sure that would have helped me to figure out how to implement this plan). In fact there are extra study questions at the end of the book to help you if you are in a group study (great for a quick summer study!). For me personally, I read the book in about 6 days, but at the end of each chapter there is a review section, that has personal reflection questions, goals for you to work on during the week, and a quick prayer. Trust me they were great at getting me to reflect back and soak in the point. So the steps, stop (I can do that, like right before I go in the baby's room as he fights sleep, stopping is not a problem), be quiet (oh yeah there are tons of quiet moments in my life - one baby, one preschooler - need I say more? ), and make a connection with God (what? it's that easy?). These are the steps that Fields admits should be easy, yet are not. They are completely foreign and will take effort for any Christian to figure out, but they also are the steps that God calls us to follow. The biggest hang up for me is the quiet, and quiet is so needed to really make a connection (not that a connection can't be made with noise around, just it isn't always the best one). "He loves a heart - any heart - that is filled with desire." (86) This is a great place to start, desire. So glad Field spent time here, that God is fine with the desire, and as long as we go to Him, He will help us with finding the times and places to stop, be quiet and make that connection. "Silence has a way of forcing thought toward areas we'd rather not face." (56) Another quote that really struck me. How often do we have a moment that is quiet and we turn on the radio, or call a friend just so our mind doesn't wander to that point of connecting? Yep I've done it. I mean who knows what I'll be called to do, it might be another thing on my list! Sounds crazy, but you've done it too right? My overall take away message from Refuel is this, "Connecting with Jesus is a better choice than busyness." (27). How often to you find a way to stay busy instead of making a connection with your Savior? 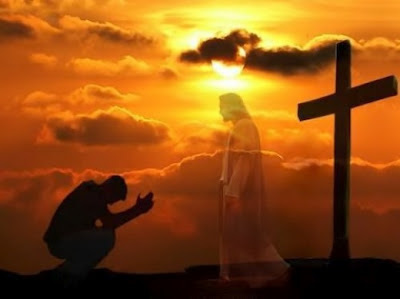 Find just one minute today to stop, be quiet and make a quality connection with Him. It will do wonders for your relationship with the King of kings. Thanks for this review. I will look for this book. Sounds like it has some gr eat content that I could surely use! Marissa, thanks for the review. It's funny how the sometimes we need to read to remember the basics. I've never heard of this one! Thanks for sharing on Saturday Show & Tell at Cheerios and Lattes last weekend! We love having you join us and hope to see you again this weekend! See you soon!